You feel feverish… a headache arrives… then a runny nose and all of sudden you’ve got the flu. 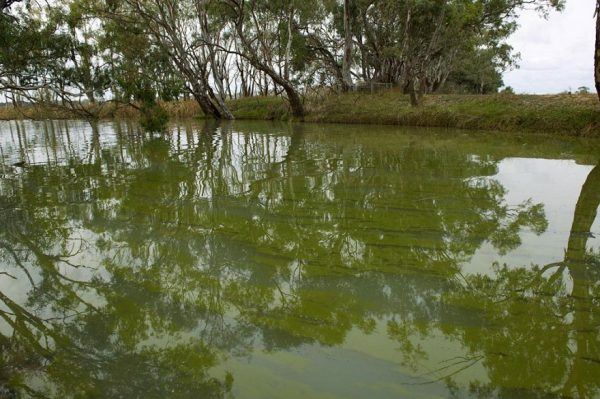 This is what happened to the River Murray and surrounding areas this year, only it wasn’t the flu — it was blue-green algae. Blue-green algae is like a flu virus. It takes time to work its way out of the river system, and in fact, for aquatic life in the basin, it is a useful food source. However it does have damaging effects on the community’s water quality, so there need to be strategies around how we minimise mass outbreaks and reduce the social, environmental and economic impacts. Reflecting on the outbreak earlier this year helps to build our understanding of the way that it occurred and how future events could be mitigated. Algal blooms. Photo by Arthur Mostead. Meanwhile daily temperatures near the Hume Dam were up to 3.5°C above the historical monthly average. At the same time, solar irradiation was also higher than long-term average. 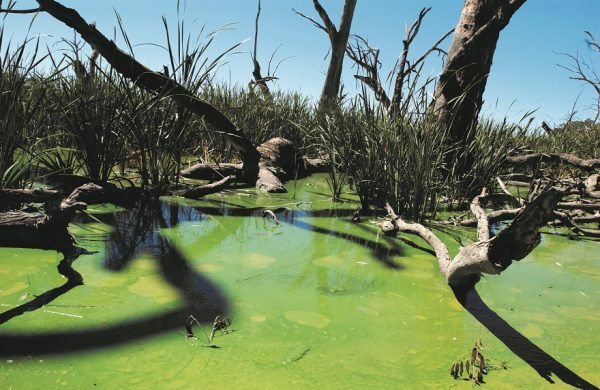 Together, these conditions resulted in the algal bloom along the Murray system and in the Goulburn valley. Once a blue-green algal bloom forms, very little can be done to stop it. The scale of this year’s events meant that additional flows, were they available, would have been unlikely to significantly reduce the extent of the blooms. Instead the situation had to be managed. Management of the outbreak was done by local authorities, with help from the Murray–Darling Basin Authority (MDBA) and state governments. This involved signposting emergency meetings, monitoring local algae levels and keeping communities up to date. It was a matter of waiting for the cooler weather, rain and strong winds. Once they arrived, the blue-green algae dissipated. To avoid this kind of impact on communities in the future, the MDBA is investigating whether the intensity and frequency of outbreaks could be reduced by developing early detection systems combined with targeted flows. *Note – Red alerts for blue-green algae persist at a few locations. See Goulburn-Murray Water and the NSW Office of Water for more information. Algae blooms on the Lodden River, Middle Lake. Photo by Arthur Mostead.